Hans Gál involved himself in music-making from the moment he arrived in Edinburgh. 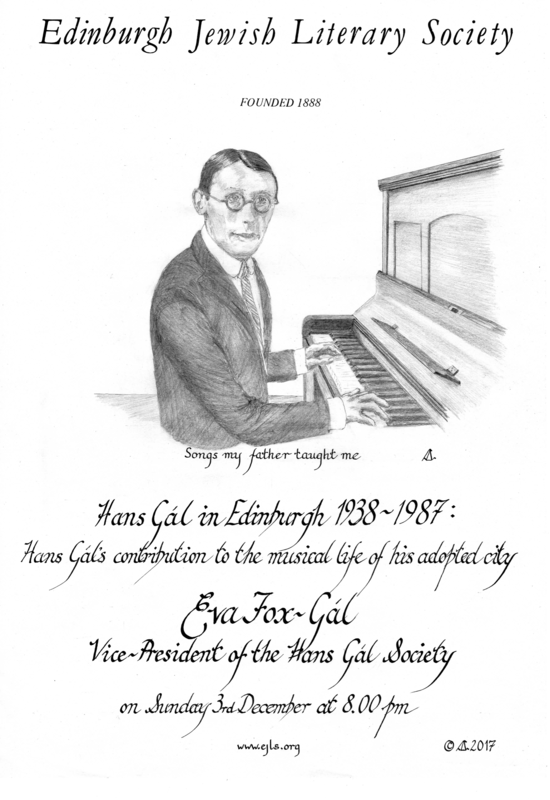 Eva Fox-Gál, daughter of Viennese refugees Hans and Hanna Gál, will reflect on her father’s life and work in Edinburgh, particularly focusing on his immersion in the musical life of his adopted city. As a conductor, performer, teacher, scholar and composer, he touched countless lives. He was, moreover, instrumental in the founding of the Edinburgh International Festival and served on the Festival Committee for decades, as well as serving as Honorary President of the Society of Musicians and of the Edinburgh Society of Recorder Players. Eva Fox-Gál is the Vice-President of the Hans Gál Society. She was born and educated in Edinburgh. From 1971-2001 she was lecturer in German literature at the University of York. For over 20 years she has been a professional homeopath and nutritionist. She is an active musician, playing piano and violin. She is married with two grown-up children, who share her commitment to the musical legacy of Hans Gál.